Rutter was born in South Shields in 1887 and began his career in his hometown with South Shields Parkside. In 1909 he joined Bradford City, but made just three first team appearances before returning to the North East to play for South Shields. 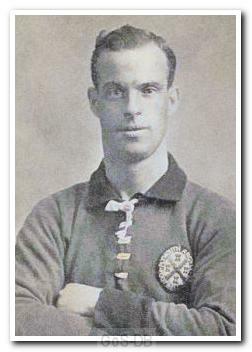 In 1910 he signed for Barnsley and played 16 games for the club, scoring five goals. He moved to Exeter City in time for the 1911-12 season and the following year was ever-present in their Southern League campaign. In July 1913 Rutter joined Argyle for a fee of £150 and over the next two years featured regularly for the reserves, assisting the first team when required. The club handbook stated that he "is a keen and lively player with plenty of dash, and he distributes his passes well." The outbreak of war brought Rutter's career to an end; although he was still on the club books at the end of the conflict he chose to stay in his wartime role with the Royal Naval Auxiliary.